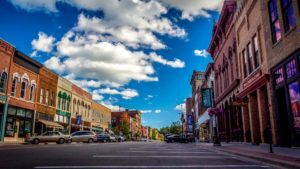 Adventure, family fun, unique dining, rich history, shopping and entertainment combine to make Faribault a great place to live or visit. We invite you to share in the beauty of our region and all it has to offer! Faribault has a diverse selection of dining options for whatever kind of menu you are looking for. Sit down and experience unique flavors at one of our local restaurants or grab a quick meal from our list of familiar favorites. Faribault offers a range of lodging suitable for any need. We also have facilities to accommodate large groups, meetings and conventions. Contact the Faribault Chamber of Commerce & Tourism for more information. View our Visitor’s Guide to learn more about our vibrant business community. Enjoy your stay. The relaxed lifestyle and picturesque surroundings draw many people to Faribault. We invite you to find out what so many others already know… that Faribault is a perfect place to visit! The Faribault Area Chamber of Commerce & Tourism is your resource for Faribault visitor’s information. We welcome you to contact us for more information, including your request for a Visitor’s Guide, area maps or any other materials that will make your upcoming visit to Faribault the best it can be. business here, we would be honored to work with you.